Volcano, Hawaii - 11-3732 Nahelenani St., 11Th St. Left Off Of Jade Ave.
Close to Volcano National Park is a cosy, romantic vacation rental. 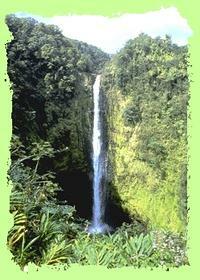 Located on the Big Island of Hawaii near the Volcano National Park. Vacation home with local Hawaiian hosts up stairs. Donnstairs has two bed rooms with fun decorations. Cat Room with Queen bed and Bears Room with 2 twin bed. Private half baths and a connected lockable shower. Available sitting room and kitchenette and honor fee laundry area. Cosy and romantic vacation home with fun decorated rooms. A gas fireplace sitting room, kitchenette, honor fee laundry, carport. 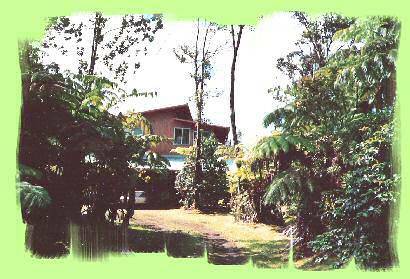 Llocated close to Volcano National Park. Downstairs Cat Room is fun decorated with queen bed, private half bath and shared lockable shower. Access to kitchenette, gas fireplace sitting room and honor fee laundry. Downstairs Bears Room with 2 twin beds. Private half bath and shared lockable shower. Access to gas fire place sitting room, kitchenette, and honor fee laundry room. 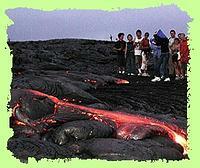 Located near the entrance to Volcano National Park and Volcano Village's stores and restaurants. Orchid Nursery and Winery. Internet connection. Really good food and good prices. Full payment requied to hold reservation. Travelers check, check or money order. Rateis per night per room per couple with 2 night minimum. One night option or exclusive use extra. 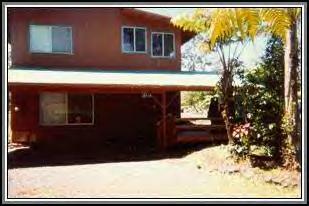 11-3732 Nahelenani St., 11Th St. Left Off Of Jade Ave.
25 miles from Hilo Airport on Volcano Highway. Left on Jade Ave. Left on 11th St. 2nd driveway on right.